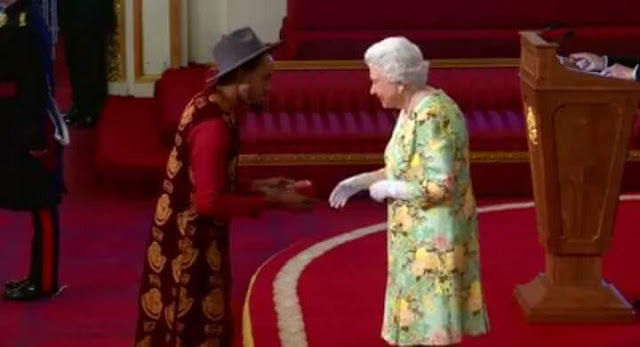 Congratulations are in order of three Nigerians who were on Tuesday night, honoured by Queen Elizabeth.The Nigerians: Hauwa Ojeifo, Isaac Ezirim and Kennedy Ekezie-Joseph were presented the prestigious Queen’s Young Leaders Award in a special ceremony at Buckingham Palace, London. According to reports, the Nigerians received the awards in honour of the work they are doing to transform lives in their respective communities. Meghan Markel and Prince Harry (The Duke and Duchess of Sussex), David Beckham and others were present at the ceremony. Hauwa Ojeifo, one of the three winners, runs a women’s support group called She Writes Woman. The group focuses on mental health support and outreach among some of the most vulnerable people in the community. Isaac Ezirim, also one of the winners, is the founder of Teens Can Code. His initiative concentrates on teaching teenagers computer coding and how to build web and mobile applications using the same tools used by professionals in the tech industry. 19-year-old Kennedy Ekezie-Joseph is the youngest of the winners. He is the founder of the Calabar Youth Council for Women’s Rights (CYCWR). This initiative works to promote women’s rights in Nigeria and supports the rights of women in the areas of female genital mutilation (FGM), domestic abuse, forced child marriage and access to education for girls.